Power corrupts—as we've seen time and time again. People too often abuse their power and play god in the lives of others. Shady politicians, corrupt executives and ego-filled media stars have made us suspicious of those who wield influence and authority. They too often breed injustice by participating in what the Bible calls idolatry. Yet power is also the means by which we bring life, create possibilities, offer hope and make human flourishing possible. This is "playing god" as it is meant to be. If we are to do God's work—fight injustice, bring peace, create beauty and allow the image of God to thrive in those around us—how are we to do these things if not by power? 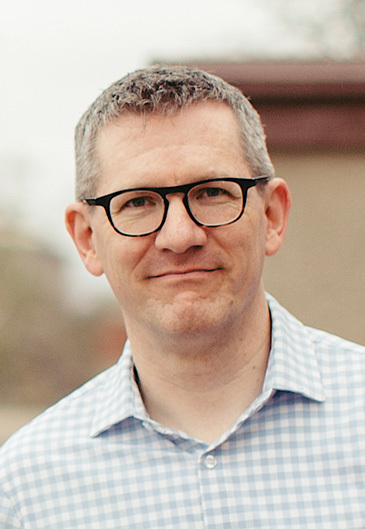 With his trademark clear-headed analysis, Andy Crouch unpacks the dynamics of power that either can make human flourishing possible or can destroy the image of God in people. While the effects of power are often very evident, he uncovers why power is frequently hidden. He considers not just its personal side but the important ways power develops and resides in institutions. Throughout Crouch offers fresh insights from key biblical passages, demonstrating how Scripture calls us to discipline our power. Wielding power need not distort us or others, but instead can be stewarded well. An essential book for all who would influence their world for the good. "Perhaps no question with such urgent life-and-death consequences is more poorly understood among Christians in our era than the stewardship of power; but gloriously, in Playing God, Andy Crouch provides the clarity we need in this once-in-a-generation work of sweeping theological and sociological depth. It is fresh, rigorous, profoundly helpful and a delight to read." "How are power and idolatry related? What can we learn from powerful people in our business culture like Steve Jobs? How can a Christian in power be a good steward and use it to help solve injustice in the world? These are just a few of the questions that readers will ponder from Crouch's deeply layered study." "Once again, Andy Crouch cuts to the heart of the matter by challenging us to take seriously the One whose image we bear. Playing God is a clear and compelling call for Christians to steward the kind of power that enables flourishing." "What do poverty, the cello, human trafficking, iPods, loan sharks, wine, the tower of Babel and the Olympics have in common? Crouch shows that all of these are expressions of power, God's unique gift to humanity. With unceasing eloquence, Crouch delivers a unique perspective on everyday life that opens readers' eyes to a whole new world of conflict, meaning and possibility. A truly transformative experience." "This book plowed through my heart, leaving idol shards everywhere in its path. Andy Crouch, one of Christianity's most compelling visionaries on culture, examines power and the ways we should harness it for human flourishing and the glory of God. The book will prompt you to rethink assumptions and perhaps to reset priorities. It is a 'powerful' read, in the right sense of that word." "Andy Crouch presents an essential treatise on one of the most important yet undiscussed topics for the promotion of justice in American Christianity--the issue of power. The work of God's justice in the world requires an understanding of the dynamics of power. Crouch shines the light of Scripture on what could be a divisive topic. Playing God should spark this long overdue conversation." "It's likely that most readers of this book will both possess more power than they realize and feel uncomfortable with the amount of it that they know they've got. This book holds keys to liberation. It illuminates that power is, foundationally, good. It offers 3D pictures of what power is for (flourishing) and what its right use looks like (creative image-bearing that expands our own and others' joyful 'meaning-making'). Crouch's Bible-saturated teaching frees us from guilt and guides us in the active, humble and, importantly, essential calling to steward our power, thus helping us avoid the equal dangers of abusing our power and neglecting it. Playing God is a wise, deeply insightful, imaginative work; by heeding its lessons, Christians will be far more fruitful in their efforts to advance Jesus' kingdom in our broken world." "This is a thoughtful and compelling book about power. Thinking of power as a gift which is meant for flourishing gives the reader much to consider. Institutions are meant for flourishing. Therefore, leaders of institutions must ask the question about how they are using the power gifted to them. Are they image bearers of that power or god players? The author's biblical and personal stories help the reader work through these and many other great questions." "In deft moves of integrating sound biblical theology with astute observations about culture, Andy Crouch wades into the immense topic of power--the powers, institutional power, cultural power, racial power--to offer the alternative Christian perception of power, a power that can be reshaped by the gospel about Jesus Christ, refashioned by love and reoriented by a new community called the church. In this book worldly power is deconstructed and replaced with a new kind of gospel power." "Readers will find plenty of insight and inspiration here. As a journalist, Crouch places high value on clarity of style and usefulness for everyday life. He brings in stories from his personal life and from popular culture that sustain interest and shed important light. And he illuminates his theme through multipage explorations of key biblical passages, which will be helpful to readers with preaching responsibilities. Crouch's evangelical perspective bears provocatively on a conversation pertinent to everyone." "Andy Crouch's Playing God goes a long way to helping a wide variety of audience members understand networks of power and the power they personally hold. Having power is one thing. How one uses power is a whole other matter and strikes at the heart of what Crouch is seeking to argue in his worthwhile read." "A good book prompts you to ask questions you wouldn't have otherwise. A great book embeds some of those in your gut so that you can't shake them for a while. On that score, Playing God is a great book. It provoked nagging questions I haven't been able to shake (or answer!). . . . Playing God's proclamation of the good news about power is crucial and timely--an antidote to both our penchant to seize power exclusively as well as our allergy to assume responsibility." "Playing God is an excellent resource for pastors who are afraid to use the power at their disposal. Crouch contrasts God-given power that brings light, hope and goodness to the world with a different kind of authority: that which corrupts and can be abused." "In the end, power is for human flourishing, and it takes the shape of the cross. As Crouch says, '. . . We are meant to pour out our power fearlessly, spend our privilege recklessly, and leave our status in the dust of our headlong pursuit of love,' like Christ, who loved us and gave himself up for us. That is our calling. That is what it means to play God in the truest sense." "Playing God will be an important resource for undergraduate and graduate classes on leadership, reconciliation, and service. . . . It will also be helpful for organizational leaders in CCCU schools, helping them to think about how they view power and how their institutions organize the flow of power. Crouch is an evangelical thought leader, offering wise and intelligent advice here for Christians engaging a rapidly changing society and world." "Playing God is an audacious, admirable work. 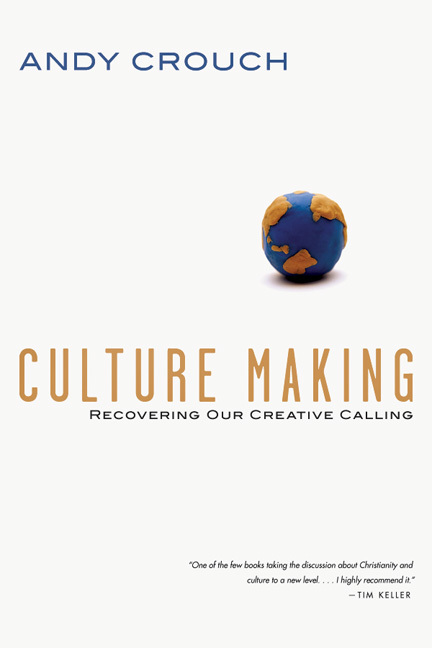 Crouch's first book, Culture Making, aspired at nothing less than offering an alternative to Reinhold Neibuhr's seminal Christ and Culture. But the sequel is even bolder in targeting the philosophical giants Michel Foucault and Friedrich Nietzche, whose influence on the modern world defies superlatives. Crouch's contention is that the philosophers are right that power is everywhere--but perversely wrong in seeing it as essential coercive and violent. . . . Per Crouch, those called to redeemed lives, freed by the promise of resurrection from the prison of seeking status, can regard their power as a very good gift to be given away for the flourishing of all." "The timeliest aspect of Playing God is its attention to social justice and how American Christians both empower and dispossess people around the world in attempts to help them. Rather than blindly striking at world ills, Crouch encourages us to understand idolatry and injustices as the negative consequences of ill-used power. If we 'play god' by swooping in and saving the day, we make ourselves into idols, rather than restoring the image-bearing capabilities of the people we seek to help. . . . There is something in Playing God both for those who are sensitive about their privilege and for those who feel hopeless to change anything. The reality is somewhere in the middle, and Playing God sets the stage for action, challenging us to acknowledge and use our power to increase mankind's capacity for image bearing." "Crouch is insightful and backs up his anecdotal and social discussions of power with biblical examples . . . . This is worthwhile reading for anyone looking to reevaluate power and its wordly place within God's kingdom." "With his trademark clear-headed analysis, Andy Crouch unpacks the dynamics of power that either can make human flourishing possible or can destroy the image of God in people." 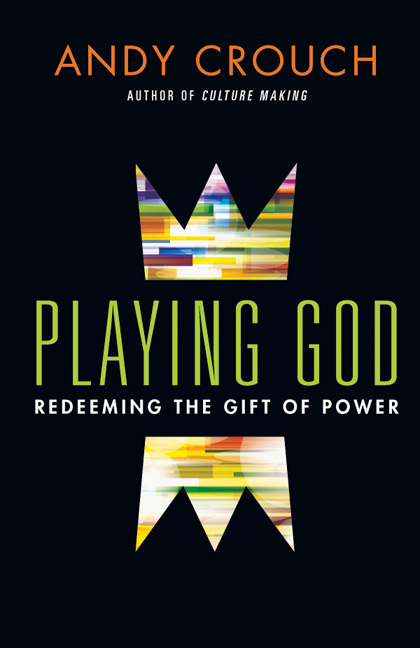 "Playing God is an essential book for thoughtful Christians, a true gift, a must-read. I am thankful that God has graced Andy Crouch with the power of words, with the gift of gab, with the ability to report and to ruminate. Perhaps it is enough to say this: this book will help you understand our world and be God's image bearers with Christ-like fruitfulness. We commend it to you as it is surely one of the most important books we've seen in years." "Playing God is certainly a healthy challenge to the spiritual-power paradigm by which many of us may be operating without even knowing it. For anyone interested in a firmly theological yet brilliantly practical discussion on our place as God's children on this earth, Playing God is most certainly a great place to begin. 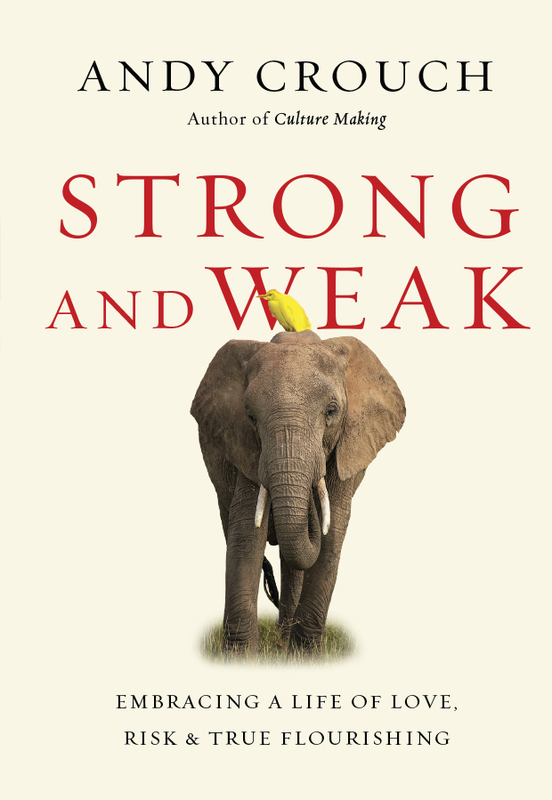 Any leader who fears an inability to use their power well should pick up this book and take comfort from its stories." "Crouch helps us place power within the overall biblical story, beginning not at the fall but at creation. By doing so we discover that power is a gift, rooted in creation and tied to our calling (or 'vocation') to bear God's image in the world." "Playing God is highly commendable reading for any student of scripture who longs for a deeper understanding of how we, as stewards and witnesses, are to use our gift of power to live and flourish in this world between Creation and New Creation. It will inspire your heart and engage your mind, while simultaneously confronting and challenging any strongholds of power that you may cherish." Watch additional videos of Andy Crouch on flourishing, playing the cello, poverty, and more. Download a complete press kit or talking points and an author bio. Andy Crouch (MDiv, Boston University School of Theology) is senior strategist for at the John Templeton Foundation. For more than ten years he was an editor and producer at Christianity Today, including serving as executive editor from 2012 to 2016. He serves on the governing boards of Fuller Theological Seminary and the Council for Christian Colleges and Universities. Andy is the author of books such as Strong and Weak, Culture Making, and Playing God. His writing has appeared in Time, the Wall Street Journal and several editions of Best Christian Writing and Best Spiritual Writing. 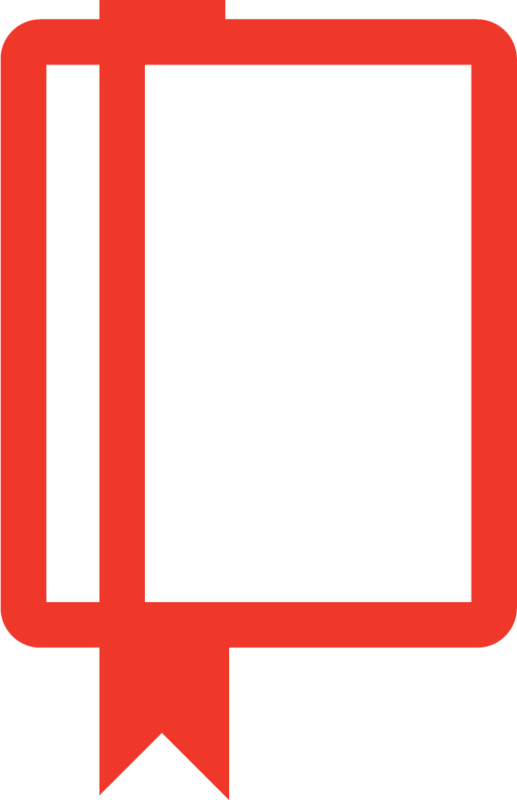 From 1998 to 2003, Andy was the editor-in-chief of re:generation quarterly, a magazine for an emerging generation of culturally creative Christians. For ten years he was a campus minister with InterVarsity Christian Fellowship at Harvard University. He studied classics at Cornell University and received an MDiv from Boston University School of Theology. A classically trained musician who draws on pop, folk, rock, jazz, and gospel, he has led musical worship for congregations of 5 to 20,000. He lives with his family in Pennsylvania. Watch this series of videos with Andy on flourishing, playing the cello, poverty, and more.